Nordstrom Anniversary Sale — Now Open to Everyone! The below content is about the 2015 Nordstrom Anniversary Sale. This nice Ellen Tracy dress comes in both fuchsia and black, and is machine washable — it’s now $84.90, but will be $128 after the sale ends. Available in sizes 2-16. This faux wrap Eliza J dress has been around for years I think, but I haven’t seen it with sleeves before — it looks short(ish) in some of the pictures, but longer in others; my guess is that if you’re shorter than a model it’ll be fine on you. It’s $78.90, but will go back up to $118 after the sale. It’s selling out in some sizes and colors (it’s available in purple, cobalt, and black, sizes 2-16), but I think there’s still something for everyone. This Karen Kane dress has been around for years — every season they come out with new colors and prints, usually in both short- and long-sleeved versions. On deep discount you can sometimes find lucky sizes as low as $40ish, so to have your pick of sizes and colors at $71 that’s pretty good. It’s available in regular sizes XS-XL, in six different colors and prints as part of the sale (and more outside of the sale, including plus sizes). Readers turned me on to the Clarisonic, which I bought one of the Beauty.com 20% off sales — this is as good as that deal. It’s $119 now, but it’ll be $150 after the sale ends. (If you’re looking for equipment they also have a number of nice curling irons from Sultra and T3 travel dryers and the like). I feel like I’m constantly on the hunt for good brushes — which are your favorites, ladies? This set from Smashbox looks nice — 10 pieces, $225 value, all for $89 during the sale. I’ve written before about my love for YSL’s Glossy Stain — but at $36 per color the addiction can get pricey, fast. 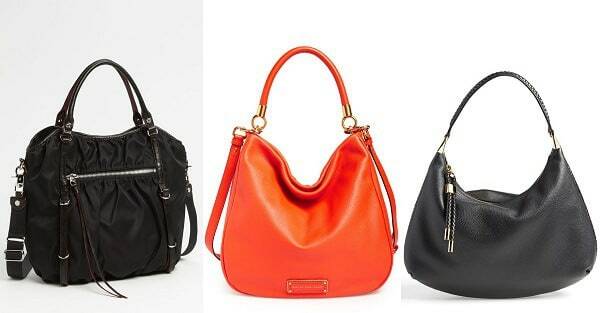 This set of three colors (plus a cosmetics bag) looks great — all for $72. I like a lot of MAC makeup, including their eye shadows, and this MAC eye shadow set looks like an amazing value — eight shadows, two lipsticks… hmmn, do I need another one like this? Hmmn. Butter London’s classic shade of Yummy Mummy is one of my favorites — it’s a neutral but with a bit of an edge, and it goes on smoothly and lasts as long as my Chanel polish. I also like that it’s “three free” — they don’t add formaldehyde, toluene or DBP to any of its nail formulas. This Butter set pictured below includes Yummy Mummy, Early Grey, and a lip crayon in Tea for the Queen, which I haven’t tried but I’ve read great reviews of. It’s listed as a $40 value, but is priced at only $24. It’s just one of the sets from Butter London included in the sale; Deborah Lippman also has some good sets included in the sale. Another eye shadow set I’m drooling over, and this time only for $15: this lovely set of neutrals from LORAC. Seven shades for $15! Nice. 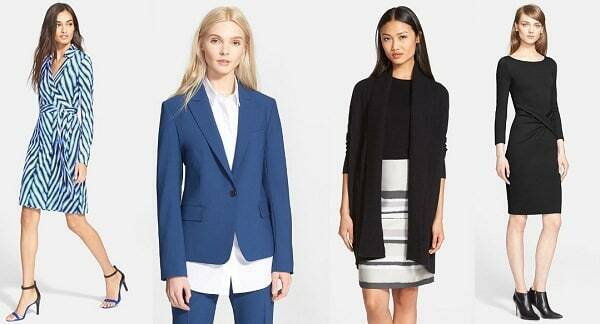 Readers who are cardholders, which pieces did you get last week? Any hits or misses you care to share? As to your makeup brushes question: Sigma brushes, hands down. Not available at Nordstrom, though. I got mine on Amazon. Love the halogen dresses and bought the purse version of that blue wallet and love it.